In this week’s podcast, Voices of Travel host, Ron Pradinuk takes us on the rivers of the world as he presents the story of the company which is frequently recognized as the world’s finest luxury river cruise line. Uniworld Boutique River Cruises has established an enviable reputation for exceptional services, above and beyond the ordinary. With even more new ships being added to its fleet over the next couple of years, it already dominates the luxury category in European itineraries, and offers the same exemplary experiences in Egypt, Indian, Russia, China, Vietnam and Cambodia. Talking with Uniworld’s vice-president for field sales, North America, Michelle Palma, Ron will explore the unique all-inclusive programs of Uniworld which include the best in beverage options, outstanding culinary offerings, onboard fitness facilities and much more that separates Uniworld Boutique River Cruises from so many of the others. Travel agents have been the absolute link to Uniworld’s success story, and they now offer even more enhanced booking tools for the travel agent community. 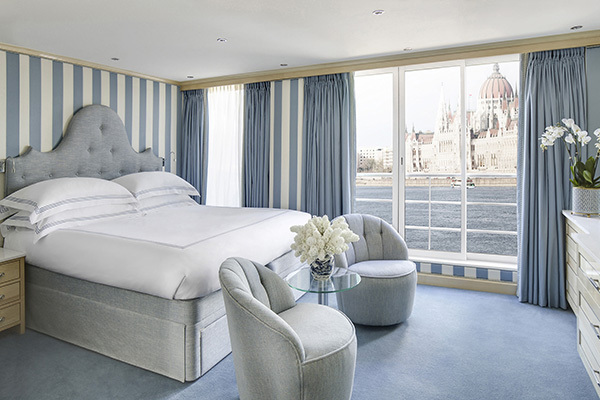 As they say, the difference is in the details, and this show will convince you that Uniworld Boutique River Cruises is where clients will truly experience the luxury they are seeking. So take a listen to as this week’s Voices of Travel featuring Uniworld’s Michelle Palma.